The New Nikon 1 J3 and Nikon 1 S1 are steps one and three of the newly established price ladder for Nikon's series of mirrorless interchangeable-lens cameras. At $500 with a slim 11-27.5mm kit zoom lens, the 10.1 megapixel Nikon 1 S1 is a particularly well-priced option that might entice the photographers who should actually be interested in Nikon's mirrorless camera system. 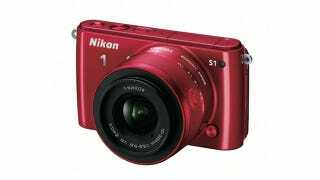 The Nikon 1 J3 ships with a 10-30mm zoom lens, and a 14.3-megapixel one-inch sensor. Between the two cameras lies the $550 Nikon 1 J2. As you'd expect, the J3 has more features and as you work your way down there's less and less. All of these cameras, it should be noted, are both cheaper and more sophisticated than the original Nikon 1 J1, which, at $600, just couldn't compete. Based on the quality of their guts alone, Nikon 1 cameras have always been overpriced. And their functionality is targeted more at amateurs without great ambitions rather than more sophisticated—and similarly priced—competitors. Now, that's not necessarily a bad thing, but before now, a Nikon 1 camera with a one-inch sensor costs the same as Sony's—which has a much larger (and better) APS-C sensor.